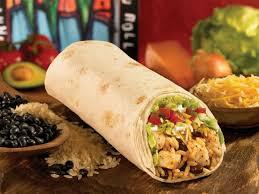 Served in a flour tortilla with seasoned rice, beans, shredded cheese, pico de gallo, and handmade guacamole. Protein options include all-natural steak, adobo chicken, pork carnitas, ground beef or organic tofu. 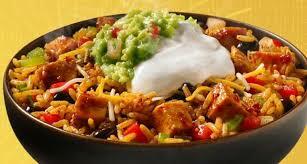 Served with your choice of protein, seasoned rice, beans, shredded cheese, pico de gallo, and handmade guacamole. Protein options include all-natural steak, adobo chicken, pork carnitas, ground beef or organic tofu. 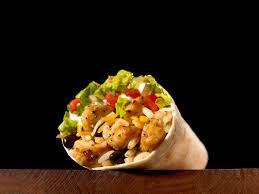 Served in a flour tortilla with seasoned rice, beans, shredded cheese and pico de gallo. Protein options include all-natural steak, adobo chicken, pork carnitas, ground beef or organic tofu. Served in a flour tortilla with beans and all-natural shredded cheese with a side of pico de gallo and all-natural sour cream. Protein options include all-natural steak, adobo chicken, pork carnitas, ground beef or organic tofu. 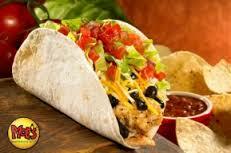 Has avocados mixed daily with fresh cilantro, diced tomatoes and chopped onions. Served in soft corn shells with crunchy cabbage, avocado lime crema, house-pickled red onions, queso fresco, cilantro, and fresh lime wedges. Our kid-sized burrito is served with your choice of adobo chicken or ground beef, seasoned rice, beans and all-natural shredded cheese. Plus, every kids' meal includes a cookie, a kid-sized drink and free chips and salsa! Our kid-sized hard or soft taco is served with your choice of adobo chicken or ground beef, all-natural shredded cheese and lettuce. 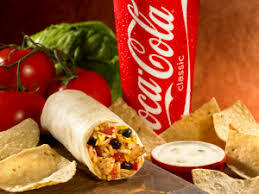 Plus every kids' meal includes a cookie, a kid-sized drink and free chips and salsa!